Description: Used Glock 39. 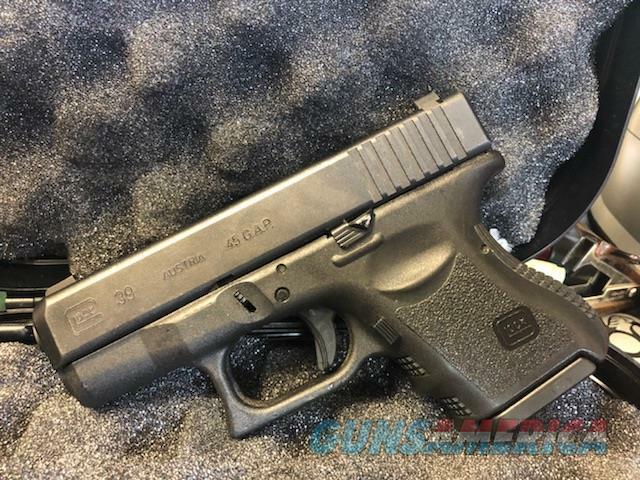 This subcompact pistol fires the 45 GAP cartridge. great conceal pistol with a lot of stopping power.Comes with original box and 2 mags.